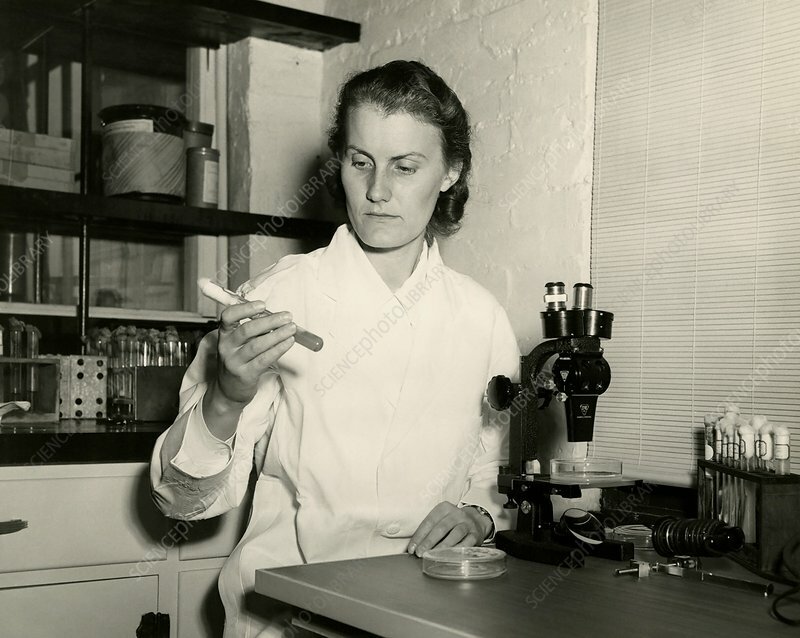 Alma Whiffen Barksdale (1916-1981), US mycologist. Barksdale received her Masters, in 1939, and her PhD, in 1939, from the University of North Carolina, USA. She then conducted postdoctoral research into aquatic fungi at the university of North Carolina and Harvard University. Between 1943 and 1952 Barksdale worked for the Upjohn company as a mycologist. While there she discovered the antifungal and antibacterial agent cycloheximide, which is produced by the bacterium Streptomyces griseus. In 1955 she became a research associate at the New York Botanical Garden studying aquatic fungi until her retirement in 1974.